Showing recent results 1456 - 1470 of 4363 products found. 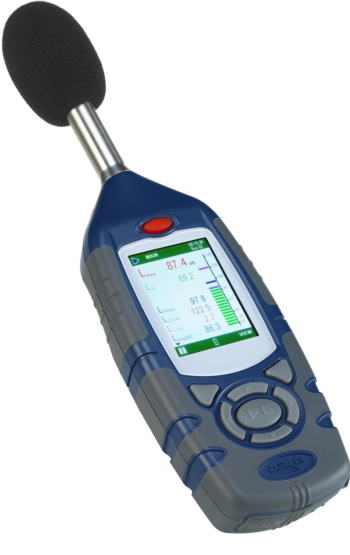 The V3500A Handheld RF Power Meter is a compact, handheld instrument that makes accurate RF power measurements in both field and manufacturing applications. 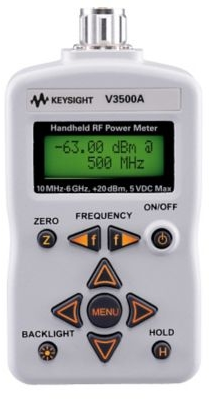 With an absolute accuracy as good as 0.21dB, a wide frequency range of 10MHz to 6GHz, and a measurement range of -63dBm to +20dBm, the V3500A is suitable for a wide variety of RF measurement applications. 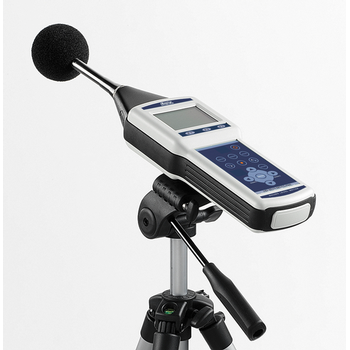 Its built-in power sensor eliminates the need for users to carry both an instrument and a separate sensor module. Truly portable, the V3500A fits easily into your hand or a toolkit. An optional belt loop holster or carrying case with shoulder strap is also available. To optimize flexibility, it is capable of drawing operating power from batteries, an AC-DC converter module, or a computer via USB interface. GS-1160 - Gamma Scientific Inc. Compact, high speed, and lightweight spectrometer/flicker meter for accurate and repeatable display measurements. Available in either a portable battery-powered or industrial/desktop version. 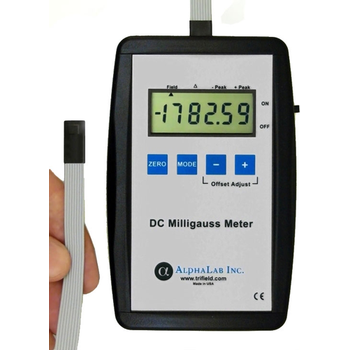 Suitable for color and intensity measurement of all display types including LCD, LED, OLED, and Quantum Dot. Spectroradiometer instrument with superior accuracy and repeatability relative to Filter Type color analyzer. Avoids measurement errors of Filter type analyzers which can be inaccurate if exacting coating tolerances are not met. Supported by Gamma Scientific’s flexible LightTouch uSpectrum and uFlicker software for color and flicker analysis. 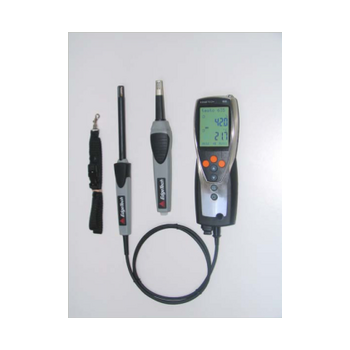 Backed by ISO 17025 Certified and NIST-traceable calibration. 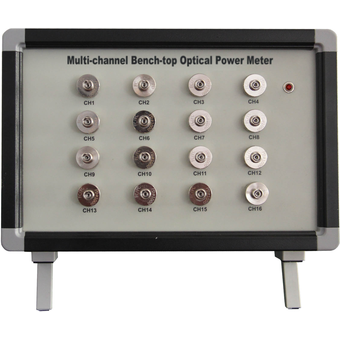 This multi-channel bench-top power meter is the high precision and wide measurement range test instrument. Which have intelligent micro processing control, and auto-shift of measurement range. This equipment have 8 laniary processing, which can avoid the difference caused by the non-laniary effect in different wavelength, and output power. And this will make the equipment much more stable and reliable in operation. With features of accurate measurements, durable use and easy operation, It becomes a perfect test equipment in fiber optic works which can instead the advanced imported products with its high cost-performance ratio. MGM - Alpha Lab, Inc.
An improvement on the flux gate magnetometer, the DC Milligauss Meter measures magnetic fields (technically "flux density") up to several times the strength of the Earth field. It has a resolution of 0.01 milligauss (1 nanotesla) and a range of +/-2000 milligauss (200 microteslas). 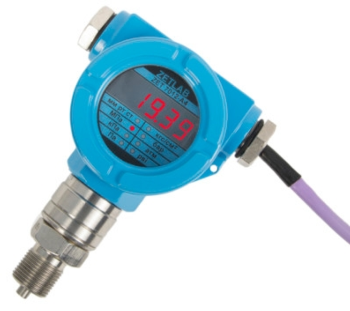 The meter's magnetoresistive sensor is a major improvement over an uncompensated fluxgate magnetometer both in cost and stability. In fact, this sensor approaches a proton precession magnetometer in temperature stability. However, at only 1 mm x 0.2 mm, the active sensor area is much smaller than fluxgate magnetometer or proton sensors. This allows very precise magnetic measurements in small areas (such as thin films) or with high gradients, when necessary. 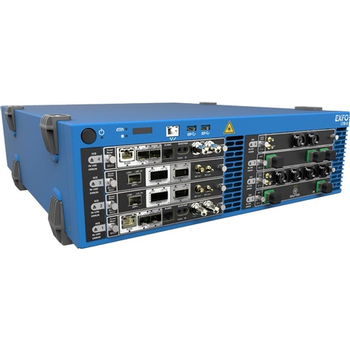 Designed for the new LTB-8 Rackmount Platform, the FTBx-1750 High-Performance Power Meter and the OHS-1700 Optical Head deliver speed, accuracy and flexibility in a platform-based solution. The FTBx-1750’s unique, patented design saves time, cuts costs and significantly enhances throughput with its Continuous-mode peak-acquisition speed of 5208 acquisitions per second. Its 80 dB range and 300 μs stabilization time allows you to simultaneously measure high and low signals on one or two channels.Test more components with a single, small-footprint module, thanks to the FTBx-1750''s two-channel capability. 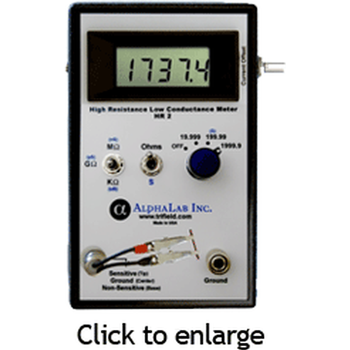 The B2985A Electrometer/High Resistance Meter is the world's only graphical electrometer that allows you to confidently measures small currents with 0.01 fA (0.01 x 10-15 A) resolution and large resistances of up to 10 P (10 x 1015 ). 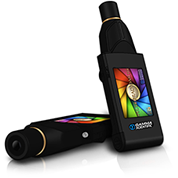 It possesses a 4.3" color LCD with a graphical user interface that provides trend chart and histogram data in addition to numeric information. These front-panel capabilities enable you to capture transient behavior and to perform quick statistical analyses without a PC. The available Setup Integrity Checker software option allows you to compare the noise levels of different cabling and fixturing arrangements to help isolate external noise sources. 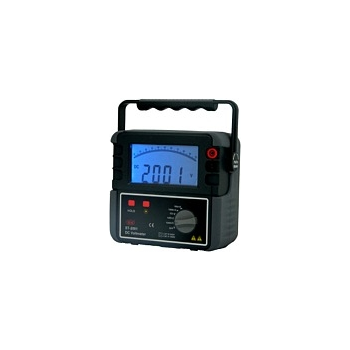 VAM - Chang Shuan Electronics Co., Ltd.
VAM Voltage & Current Meter has been designed with high accuracy dual channels(isolated) measurement, dual display and communication of 0~600V and 0~10A for DC/AC/TMRS. In compact size(48 x 96mm)● Build in mathematic function such as Addition / Subtraction / Multiplication / Division / high or low selector in 2 channels input to meet various testing equipment inquiry.They are also build in 4 Relay outputs, 1 Analogue output and 1 RS485(Modbus RTU Mode) interface with versatile functions such as control, alarm, re-transmission and communication for a wide range of industrial applications.